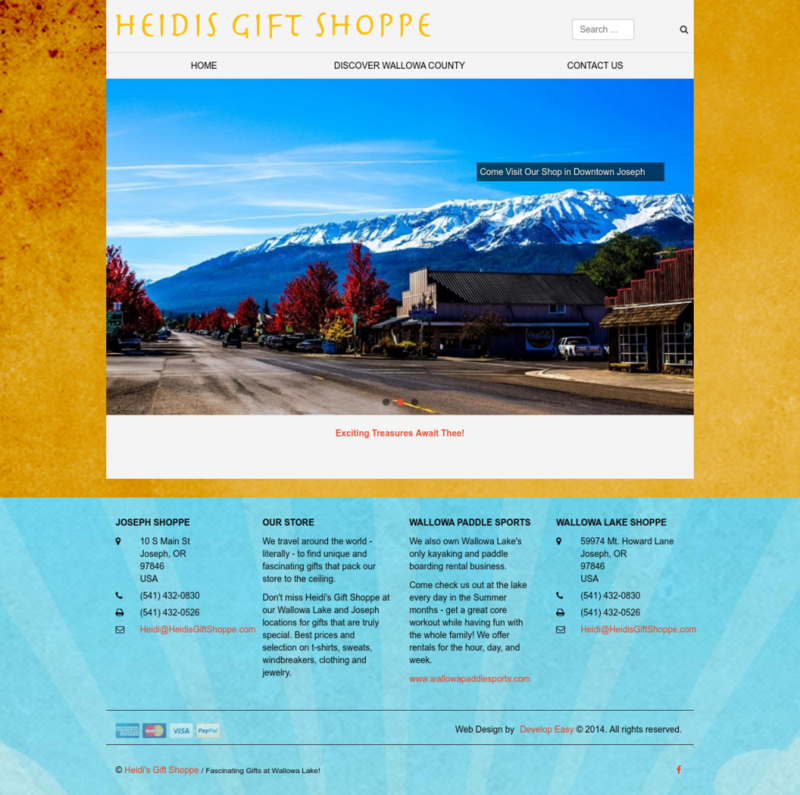 Heidi’s Gift Shoppe is the preeminent Wallowa county souvenir shop, with stores in Joseph & at Wallowa Lake. Minimal Woo Commerce theme allowing the opportunity to expand and sell online. Customizable header allowing the client to change their image at the click of a mouse.